NAPLES, Texas (July 24, 2018) – There are two times of year that weigh heavily on blood collections: summer months – June, July, and August and for another three months from November through January. It is easy to understand the collections reduced when ‘school’s out for summer.’ Almost 25 percent of annual blood collections comes from blood drives at high schools. Although high school students are welcomed at community blood drives and in donation centers during the summer, they are not frequent donors during these ‘high need’ months. The demand for blood or blood products does not take a summer vacation, even if blood donors do. For this reason, it’s the optimal time to host a blood drive or donate blood with Carter BloodCare. Hospitals full of patients depend on blood donations – even while most others enjoy summer fun. Blood donors help ensure chemotherapy patients receive platelets they require; red cells get to heart surgery patients; when a lifesaving donor organ arrives, blood is available. Naples Watermelon Festival is hosting a blood drive, courtesy of the David Elliott Masonic Lodge, from 10 a.m. to 3 p.m. Saturday of the week, July 28 at Watermelon Park in the parking lot on the Carter BloodCare bus. For more information or to schedule an appointment time, contact Jerome Elder at (903) 884-2583. Volunteer blood donors are the foundation of any robust healthcare community. There is no substitute for human blood. A diverse blood donor group supports a safe and sufficient blood supply that mirrors a diverse population of potential patients. If each eligible blood donor gave two or three times a year, there would seldom be a shortage of blood or specific blood types. Carter BloodCare prefers to see 1,000 blood donors daily to keep pace with demand. Potential blood donors may volunteer at age 16 with parental consent; 17-year-olds may donate independently, and there is no upper age limit for giving blood. 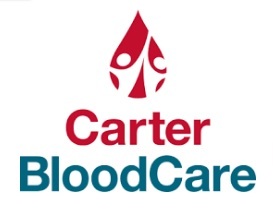 For more information on donor eligibility and to make an appointment, call 1-800-366-2834 or visit carterbloodcare.org.